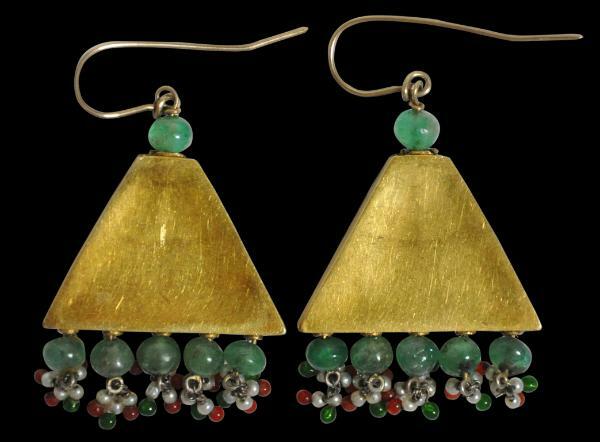 This pair of triangular earrings is made from thick gold sheet, and inset with diamonds, rubies and emeralds. 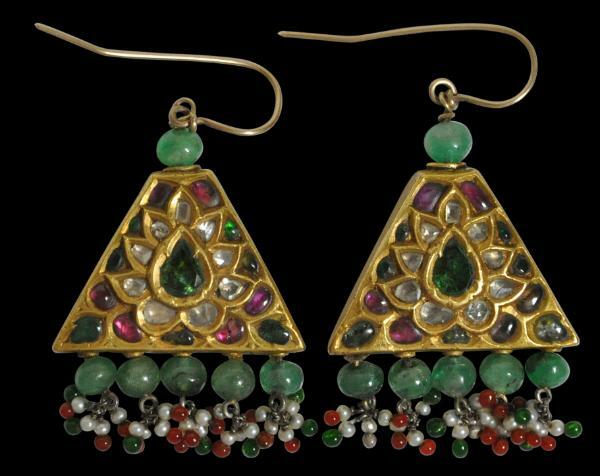 Each is topped with a spherical emerald, and each has another five emeralds beneath, from which suspended pearls and red and green glass beads are suspended. Each is fitted with a gold wire ‘fish’ hook to allow the earring to be worn. The pair are in a stable and wearable condition. Probably one or two pearls and glass beads are deficient but not overtly noticeable. 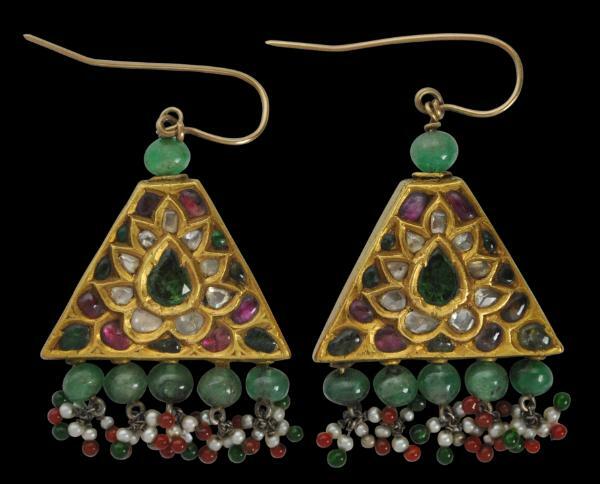 Some amendments at the very tops beneath the emerald and fish hooks is visible, suggesting perhaps that the mechanism by which the earrings are worn has been changed or modernised.